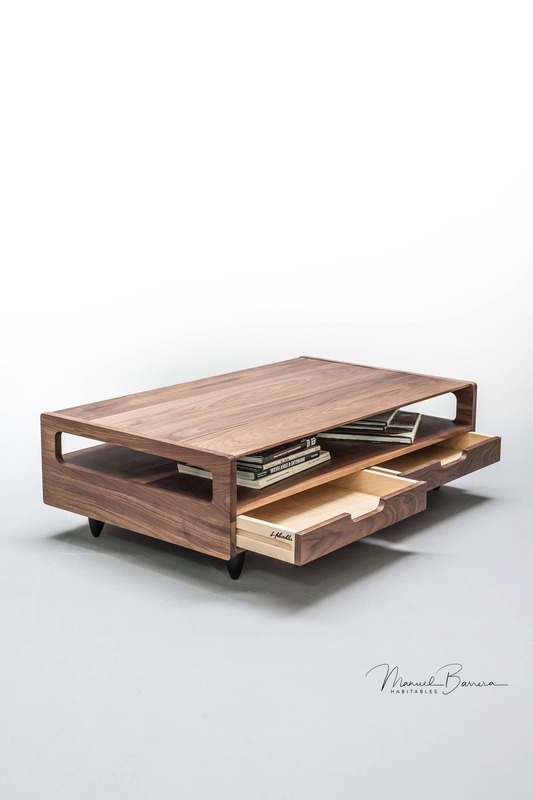 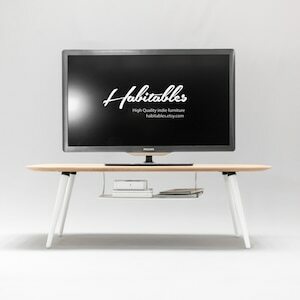 Coffee table / lounge table, made of solid oak or walnut. 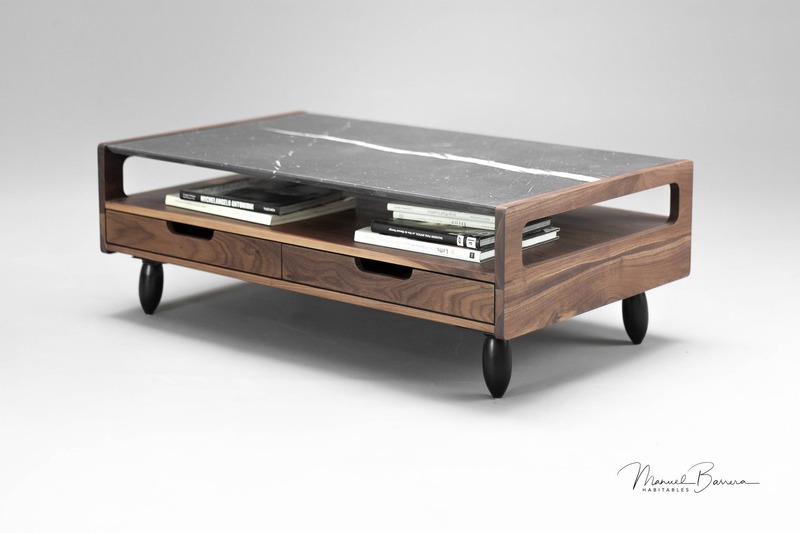 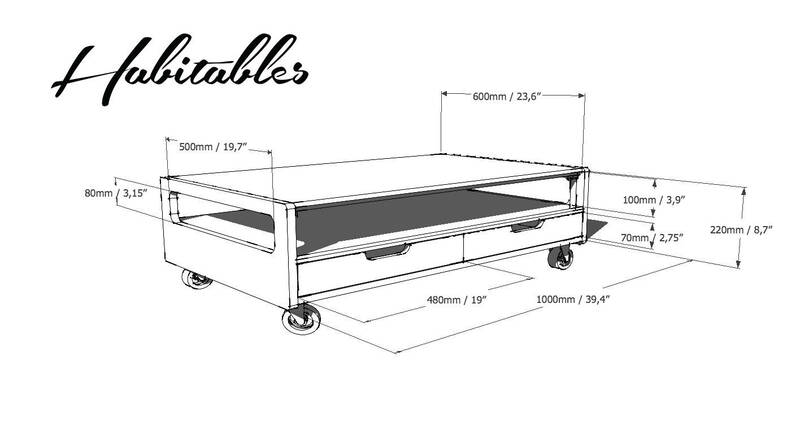 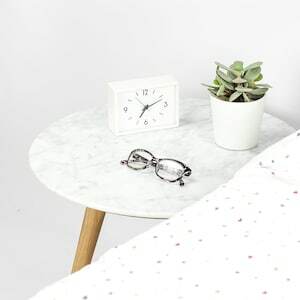 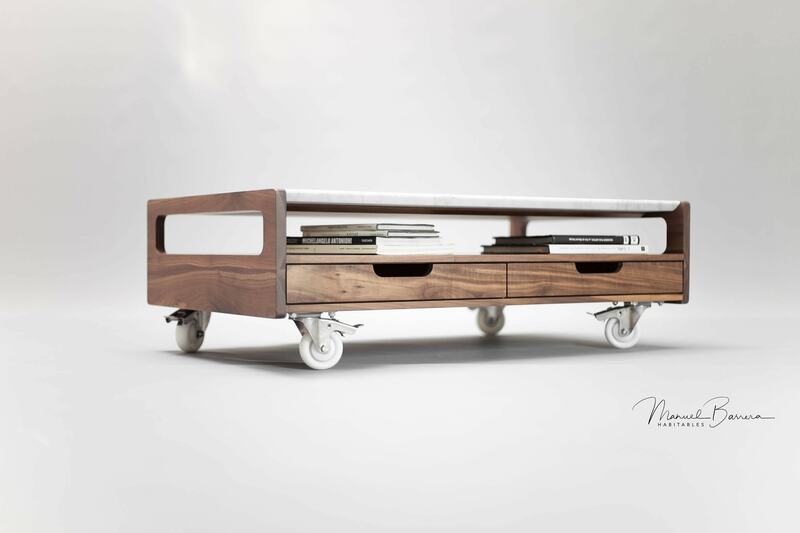 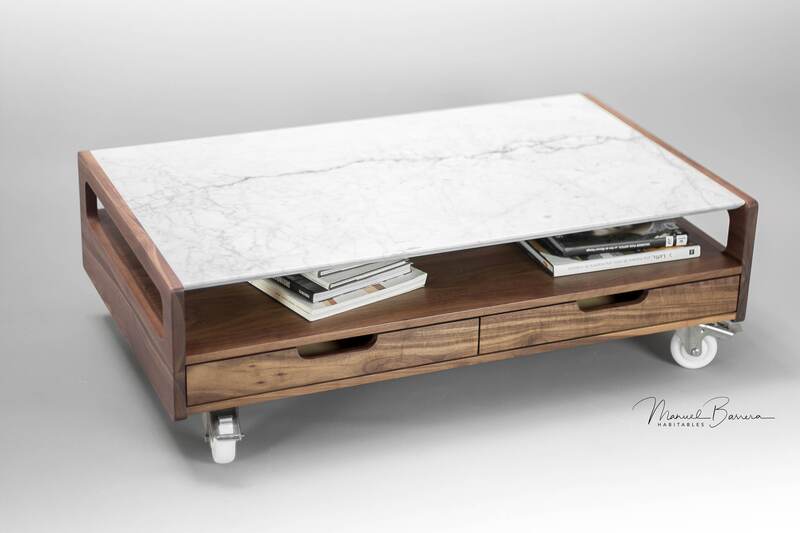 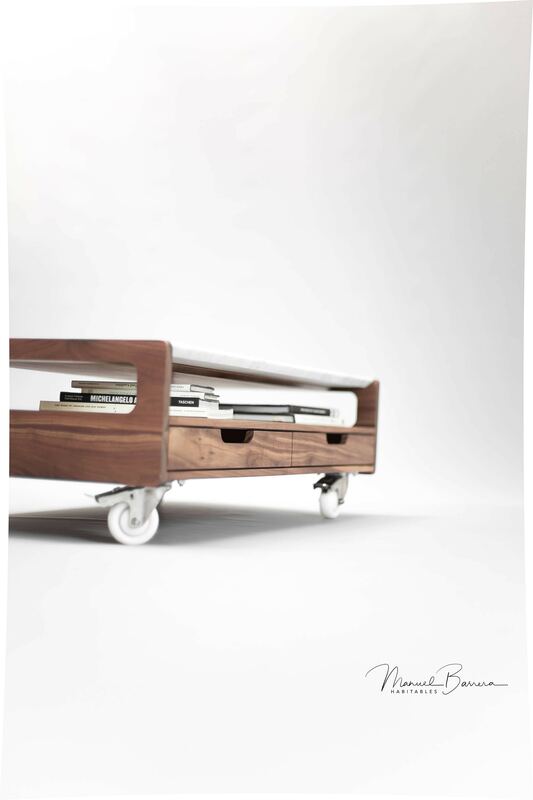 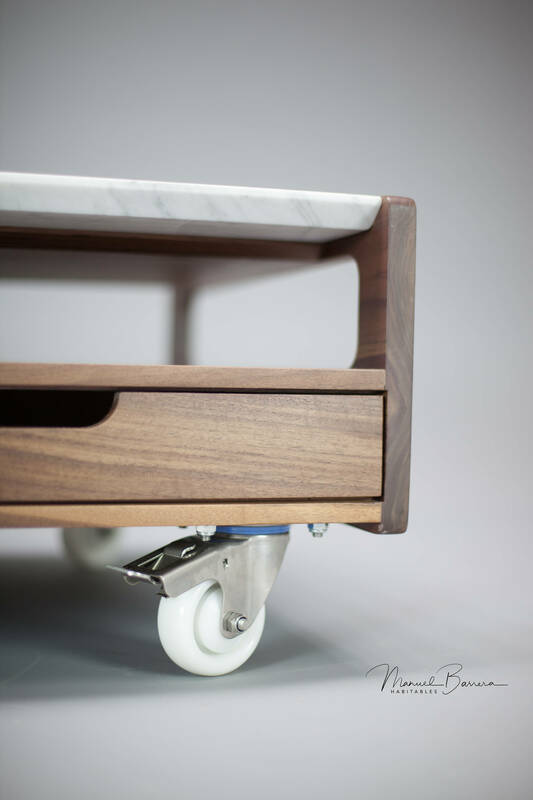 This elegant table in its simplicity has a marble piece on top and wheels. 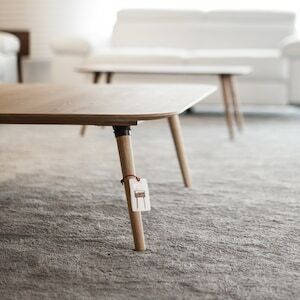 A matte acrylic varnish is applied to the wood, leaving the pore open and applying natural wood oil to aprotect. 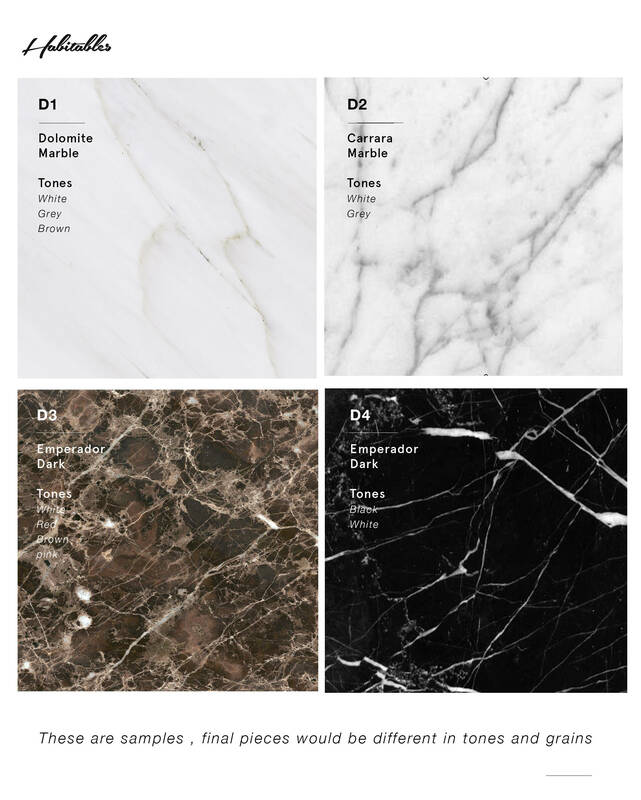 If marble is chosen select between (1) Carrara Marble, (2) Marquina Marble, (3) Dolomite Marble & (4) Dark Emperador Marble. 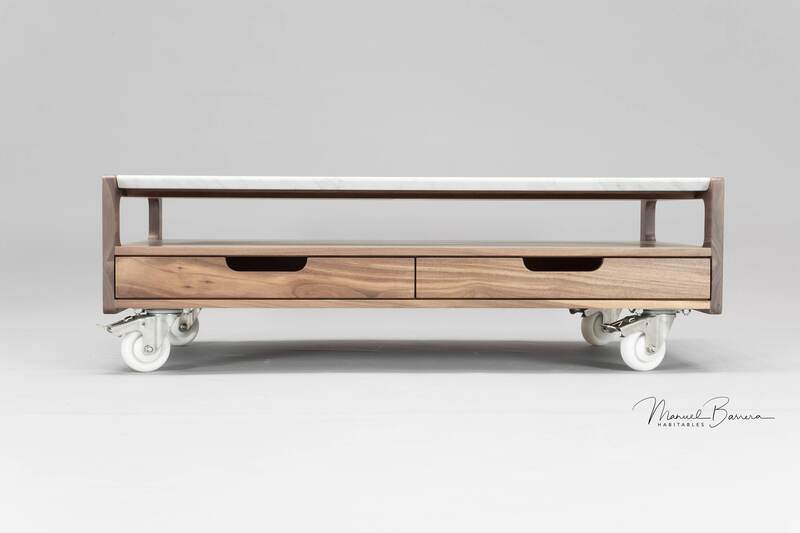 - Width 100 cm / 39,4 "
- Depth 60 cm / 23.6 "
- Height without wheels 22 cm / 8,7 "
- Total Height 23,2 cm / 9,1"
Please notice that wood and marble can vary from each product.